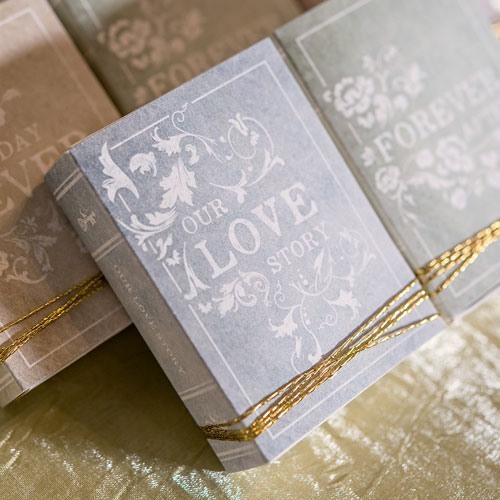 For the couple who loves a good book, these antique book favor box kits are special way to pass out wedding favors. Each box features a lovely book jacket design that looks both feminine and vintage and a velvet ribbon wraps around the box along with a mini buckle to complete the look. Place your favorite treats inside and let your guests be impressed with this beautiful packaging.